For the last ten years, policies in Europe’s cities have become more and more liberal. Yet housing is a major concern for Europe’s citizens. 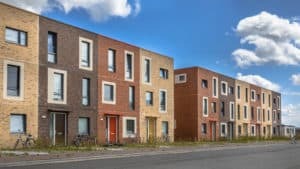 It is the duty of the Progressives to refocus their attention on affordable housing, says Cédric Van Styvendael, President of Housing Europe, the European federation of public, cooperative and social housing. ProgressivePost: Do you think housing could become a campaign theme in the upcoming European elections? Cédric Van Styvendael: I really hope so – despite it not being a European competence – as it is a major concern for citizens and a contributing factor to the aggravation of poverty in European countries. CVS: One statistic sums up the situation well: one in ten European citizens spends more than 40% of their income on accommodation. We consider this to be over-indebtedness. In other words, the lack of affordable housing is a “weapon of mass destruction” against social cohesion. If government policies do not get the price of affordable housing under control, the situation could get dire. PP: Why doesn’t this subject make the headlines? CVS: It is not on the political agenda of numerous governments because it is not a subject that would provide major electoral gains. They also consider it to be an expense and, therefore, prefer to try and save money by transferring it to private companies and local authorities. PP: Are the cities reacting positively, like with immigration or climate policies? CVS: Cities quickly understood the importance of offering affordable housing to attract businesses and house workers on their territory. They, therefore, develop proactive policies which make access to housing a criteria of competitiveness. PP: Does that explain why prices continue to rise? CVS: We let the market have too much influence. We, however, consider housing to be a universal, common asset, not a consumer good. It has too much of an impact on our fellow citizens’ lives for us to leave it solely in the hands of the market. We do not resent or oppose the market: it plays its part and must continue, but it has never shown itself to be reasonable enough to be responsible for housing. The 2008 subprime crisis is telling proof of this. Ten years later, we’re once again in the middle of a housing bubble: eleven European countries are on high alert, with a 6% rise in housing prices. Collectively, we’re not taking this seriously enough, hence why we at Housing Europe are so worried. PP: What do you propose? CVS: Member States must put regulatory policies in place on, for example, rental prices. Certain countries have tried it, which drew strong resistance from lobbies. They protest in the name of property rights and the right to set prices, etc., but when the market has got out of hand to the point where a 25 year old can’t leave home because he or she can’t afford to spend €1000 per month for a studio, then our society must provide him or her with answers. PP: How can a limit on rents be put in place? CVS: Germany used legislation, with lawmakers declaring that rent could not be higher than a certain market percentage. France has brought in the Alur law and founded a Rental Observatory, but there is still work to be done. PP: Is that the only way? CVS: The second way to regulate rents is through land and public development projects, but this assumes that communities take on debt and tie up funds, which isn’t good for their financial health. The European Union is suggesting solutions to this problem, but Member States have not yet organised themselves correctly. PP: What is the proportion of social housing in Europe? PP: Is the construction of social housing fully integrated in the next European budget? CVS: Not enough. We are concerned about the way in which the European Commission is restricting access to this kind of housing to only the most vulnerable: refugees, people living in extreme uncertainty, etc. For us at Housing Europe, the question of affordable housing should cover a larger portion of the population, and should receive support from the EU via the banking sector. PP: Should these expenses be classed in another category? CVS: In my view, yes, but when we question the European Commission on the matter, the answer is clear: under no circumstances will they change the current system. We’re not talking about taking all the investment outside of the criteria, just staying coherent. The EU cannot tell Member States during the European semester that they are spending too much on housing and then argue for the development of affordable housing for all as a duty when it comes to social cohesion. That kind of schizophrenia towards Member States is untenable. PP: Which countries are good examples to follow in Europe? CVS: Austria and France are good examples of countries that invested public money. It’s still the case in Austria, but a little bit less so now in France, which, for the last ten years, has put in place a system that is extremely detrimental to social housing operators as it taxes their resources. PP: Can you give us examples of cities? CVS: My hometown of Lyon, Bordeaux and even Vienna, which all have large numbers of subsidised housing. There are cities that are very committed. Certain countries are also streets ahead, like Germany. It had strongly regulated rents but, in the last ten or so years, its policies have become more liberal. Today, 15% of Germans spend more than 40% of their income on housing, which is higher than the European level of 10%. It’s no coincidence that the German coalition government and federal states have just announced plans for an injection of €5.7 billion for affordable housing and have begun building social housing and purchasing land alongside public authorities in an attempt to stop prices rising. PP: Why is Vienna often mentioned as an example? CVS: Vienna has a holistic, global approach to the housing question. The city treats both private and public housing in the same way, defines social and private production quotas, and is very proactive when dealing with the question of land, which is crucial in crowded areas of Europe. I don’t think we should ban speculating on land completely, that would be a lurch too far to the left, but we could limit it to prevent prices spiralling out of control. 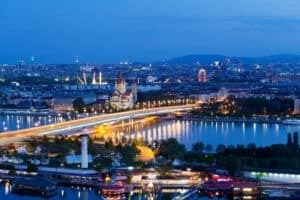 Vienna is buying up land and can, therefore, set its prices, which gives the city enormous public authority. PP: Are other European countries becoming aware of the housing situation? CVS: We can see the same thing in the United Kingdom. Some 30 years ago, Margaret Thatcher launched a major housing policy called “right to buy” which aimed to give people increased access to housing. 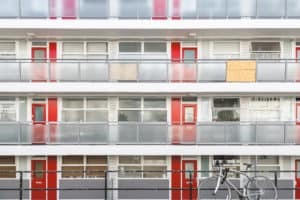 However, five years ago, social housing was hit by severe cuts and the United Kingdom has found itself faced with a such a huge shortage of affordable housing that Theresa May has had to announce a plan to invest £2 billion into affordable housing. PP: Is this phenomenon common throughout Europe? CVS: Our organisation welcomes partners from Eastern Europe who are looking for ways to develop a solid social housing sector, whereas Northern and Western Europe are busy unravelling all the models they spent decades putting together. It’s ironic to see Western Europe forgetting one of the fundamental elements of its social cohesion, while Eastern Europe is trying to replicate what was being done half a century ago.